“A Touch of Class“ at Adams Apple Club Chiang Mai. You just love it extravagant – NO PROBLEM – Adam’s Apple Club also offers you that. Hi So Boys, extravagant and unique – let yourself be surprised and feel the breath of class and enjoy the exclusive atmosphere. Here in Adam’s Apple Club Chiang Mai, the No. 1 Gay Bar in the city of Chiang Mai welcomes you to Hi-So Boys. 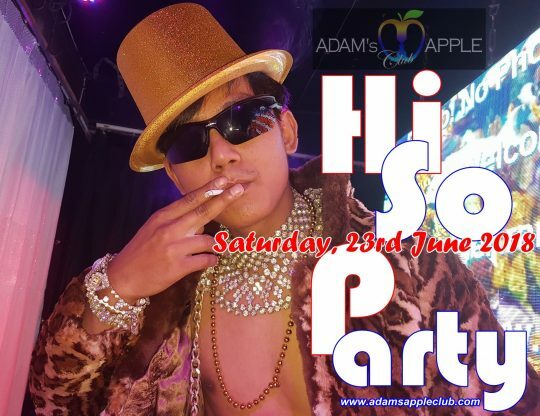 Exclusive and only in our Gay Bar Adams Apple Club Chiang Mai: Hi-So Asian Boys. Have FUN and enjoy YOUR Gay Life. See You to our Hi So Party!